The Vermont senator wins a battleground state by a 57-43 margin. There are two kinds of math in the Democratic presidential race: delegate math and momentum math. Backers of former secretary of state Hillary Clinton prefer the delegate math, for obvious reasons. She has a solid lead in pledged delegates and, when superdelegates are added in, her advantage becomes overwhelming. Backers of Vermont Senator Bernie Sanders prefer the momentum math, for equally obvious reasons. Since March 22, Sanders has won six of seven state contests. He also dominated the “global primary” organized by Democrats Abroad. On Tuesday night, Sanders won a pivotal contest in the battleground state of Wisconsin, besting Clinton by a 57-43 margin. That was not quite the 58-41 margin that secured the state for Barack Obama when he faced Clinton in 2008. But it was close enough to have Sanders challenging the narrative that says he cannot win the Democratic nod. 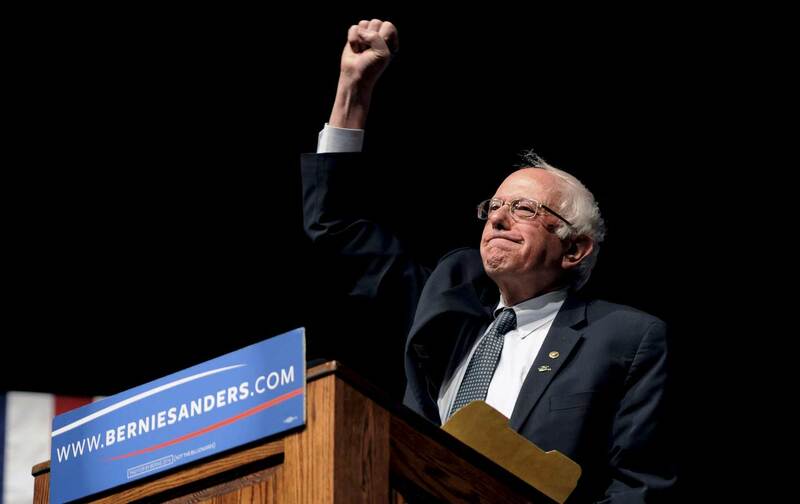 Sanders won 71 of 72 Wisconsin counties, showing strength in urban, suburban, and rural areas. (Among the rural areas where the senator ran particularly well was Menominee County, where 87 percent of the residents are Native Americans and Sanders took 63 percent of the vote.) In Milwaukee County, which was seen as Clinton’s base in the state, she did win; but the margin of 52-48 was far closer than in populous Dane County (Madison), where Sanders led 63-37. As in Michigan, where Sanders scored a surprise win in March, the senator won around 30 percent of the African-American vote. That was a stronger number than in several Southern states that voted in late February and early March. But it was still far less than the level of support for Clinton, who in Wisconsin campaigned with the support of popular Congresswoman Gwen Moore, D-Milwaukee. Also, as in Michigan, trade was big issue in Wisconsin, with 60 percent of Wisconsinites who said that current trade policies harm the United States voting for Sanders, who vigorously opposes them. For Sanders, it was a very big win in a state where both candidates mounted serious campaigns. And it yielded Sanders 45 pledged delegates to 31 for Clinton, according to the New York Times count. But Clinton still leads in the race for pledged delegates, with 1,295 for the former secretary of state to 1,066 for Sanders, according to the CNN count. And when superdelegates are added in, it’s Clinton’s 1,778 to Sanders’s 1,092. That’s something to brag about. The hope of Sanders and his supporters is that their momentum math will ultimately influence the delegate math, by cutting Clinton’s pledged-delegate lead and convincing superdelegates to swing his way—as happened in 2008, when a number of superdelegates who were initially leaning toward Clinton ended up with Obama. That’s still a tall order. The great challenge with momentum math is that it requires a steady pattern of victories. Sanders has enjoyed that pattern in recent weeks. But now the race turns to New York and Pennsylvania, big, diverse states where polls give Clinton the advantage.